We know it’s a little early to start thinking about the New Year, but if you’ve got dental insurance, it’s actually a perfect time to gear up for 2018. Did you know that most insurance plans are set to start over on January 1, meaning that any benefits you haven’t used will end up expiring when the ball drops on New Year’s Eve? Don’t make the classic mistake in dental insurance. Too many adults let their benefits slip away because they aren’t really sure quite how it works. But acting now can help you save hundreds of dollars on your dental care! When you’re trying to make the most out of your dental insurance, you’ll want to think about your yearly maximum, deductible, changing rules, and your oral health. Know you can always get in touch with Dr. George T. Philip’s team if you’ve got questions about maximizing on your 2017 insurance benefits! Have You Met Your Deductible for 2017? If you have met your deductible, or the amount of money you must pay out of pocket before your insurance will start paying for care, you definitely want to reach your annual maximum, too. That’s the amount of money up to which your insurance provider is obligated to pay for services (more on reaching it below). Your two checkups and cleanings should fall outside of the deductible. These routine visits are usually fully covered, along with an annual set of x-rays and possibly dental sealants and fluoride treatments for cavity prevention. Your deductible will not roll over to 2018, so if you’ve met it for this year, it’s time to act! If you have met your deductible, you will want to get as close to the annual maximum as possible. Your dental team can help you reach it by looking at your overall treatment plan and seeing if there are any treatments you could benefit from but have been putting off due to their expense. This amount will not roll over to the next year, so now is a wonderful time to start planning for how you can advantage of those unused benefits. 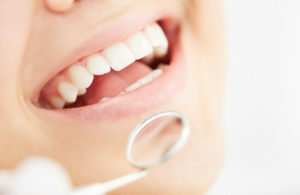 Keep in mind that your dental insurance plan can always change from year to year. Even if your deductible was easy to reach and your annual maximum generous this year, that may not be the case in 2018. Taking advantage of your dental insurance plan while you’ve got it could be the wisest thing you do for your oral and overall health. While you’re thinking about your dental insurance benefits, remember this one basic rule: oral health issues don’t get better on their own. If you’ve got any issue requiring care, or if you haven’t taken advantage of your two free checkups and cleanings this year, please don’t hesitate to act. Dental offices fill up in November and December. Request an appointment today!